Rob Marshall is one of cinema’s most successful filmmakers, as he’s taken on highly touted projects in narrative (Memoirs of a Geisha, Pirates of the Caribbean: On Stranger Tides) and musical (Into the Woods, Chicago) form. 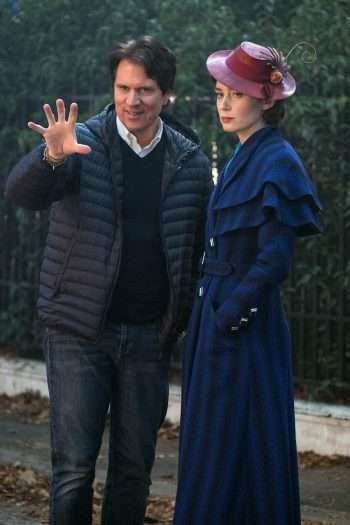 His latest project Mary Poppins Returns has grossed over $348 million worldwide, and the feature debuts today on Blu-ray, DVD, and 4K Ultra HD. During the home entertainment press day for Mary Poppins Returns, Marshall divulged that Mary Poppins was the first film he ever saw. Click on the media bar to hear Marshall explain why making Mary Poppins Returns was a “rare” and “extraordinary” experience.